When you read other wading boot reviews from me before, you know that I regularly mention, if there is one piece of equipment you should invest a bit more money in, it should be wading boots. Since it is the piece of equipment you definitely rely most on. 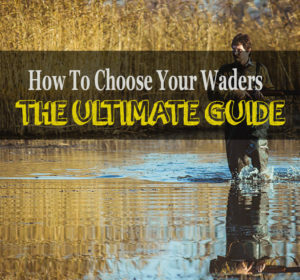 Think about it, if for example, your waders are low quality, they might leak and you will get wet. A manageable risk. Shoes are constantly in contact with slippery underground and when they fail to reach a certain standard they do not give you enough traction making it far more likely that you fall. You really do not want to fall in a fast or cold river, since this can assuredly be life threatening! That being said I am alway sceptical when it comes to cheaper wading boots. The Ranas are not cheapest you can get but certainly in the lower price segment. The upper on this shoes is made from 900 denier polyester. This material is used to create a working drainage system, so when your shoes leave the water again, the water that accumulated inside them will run out as fast as possible. If that wouldn’t happen your feet would get incredibly heavy and your legs would follow with quick exhaustion. The Frogg Togg Rana are lightweight and for this type of gear, lightweight equals comfort. The toe cap is reinforced to withstand abrasion since polyester does usually not so well when in constant contact with stones. In higher price segments they usually use rubber toe and heel caps to achieve longer durability. The reinforced toe cap should do the trick as well but don’t expect them to last years. They will be absolutely fine for one season though! A really important feature of good boots is ankle support. There will be situations in the water where you can not see the ground and taking a wrong step can happen fast. When that happens you want your boots to support you to prevent sprains or similar. The Frogg Togg Rana have a triple padded collar to provide that support and in theory, it should work comparable to hiking boots. I chose the rubber soles, what I personally tend to prefer. The profile is not too convincing although they seem to come in different versions. Mine at least had the ability to attach spikes and wading boots with studs are definitely a nice thing to have in your repertoire. Frogg Toggs Rana also come in felt soles and studded soles. Usually sizing of wading shoes is hit or miss, since it is common to upsize them a little bit with the intention to make them fit you, even with your neoprene booties on. The problem is that shoe sizes run differently anyway and the upsizing each manufacturer estimates varies. I got lucky and ordered half a size bigger than my regular shoe size and the fit was perfect. Also, they are surprisingly comfortable and I would not mind hiking with them a few miles. I test nearly all wading boots in the same stream, which is filled with smaller to bigger sized mossy rocks. Same here, I fished for three to four hours in them, walking from side to side while trying my luck fishing. When I stepped on said mossy rocks, sometimes covered in rotten leaves, the traction was just poor. Also, the rubber feels way too hard to even slightly adapt to the underground and therefore isn’t really sticky. Keep in mind mossy rocks is about as bad as it gets and when you plan on fishing on gravel or sandy ground, for example for surf fishing or just go hunting with them, they should be fine. 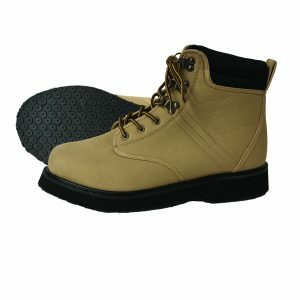 Additionally, you are also to use the wading boots with studs, which can be easily attached. With them even mossy rocks shouldn’t be a problem. What I also did not like is the soft top shell over the toes. When you hit rocks with them your toes are not enough protected and this can be annoying for sure. Where they perform remarkable though, is in terms of foot ankle support. They hold your feet securely and like I mentioned earlier they could actually be used as hiking boots. A very important feature! Unfortunately the small metal rings, that hold the laces began slightly to rust after a few uses. The Frogg Togg Ranas can be suitable for the occasional weekend fishing trip as long as you consider all mentioned downsides. In theory, they would make for a good pair of hiking boots and when you often hike a bit longer to your fishing spots they can definitely perform well. In addition to that, when you plan on going surf fishing and need saltwater wading shoes, this is the perfect choice! 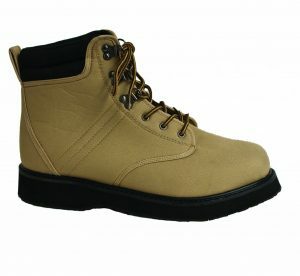 If you are looking for wading boots under 50$ the Ranas are certainly not the worst choice.